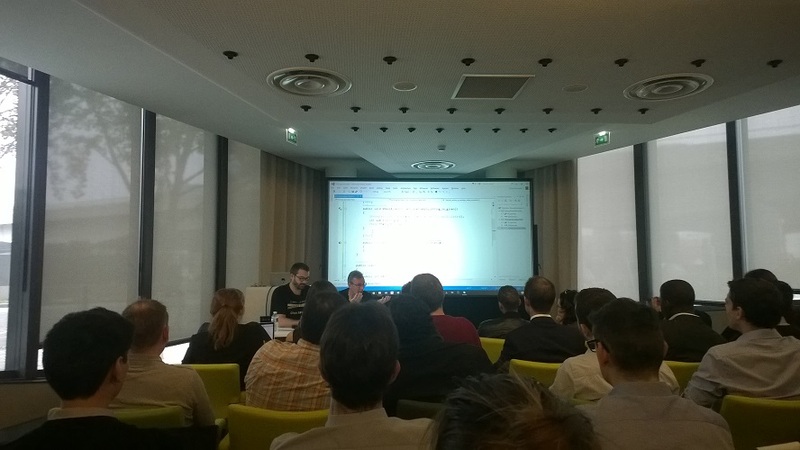 A few weeks ago I was able to attend an event hosted by Microsoft France about the software craftsmanship movement named “Learn to craft“. This presentation was made by Jean-Laurent Morlhon, Bruno Boucard and Thomas Pierrain. Even if I already read a lot about the topic (I went to some meetups about software craftsmanship and I went to a conference), I was glad to have the opportunity to go to this event, you never know what you might learn. 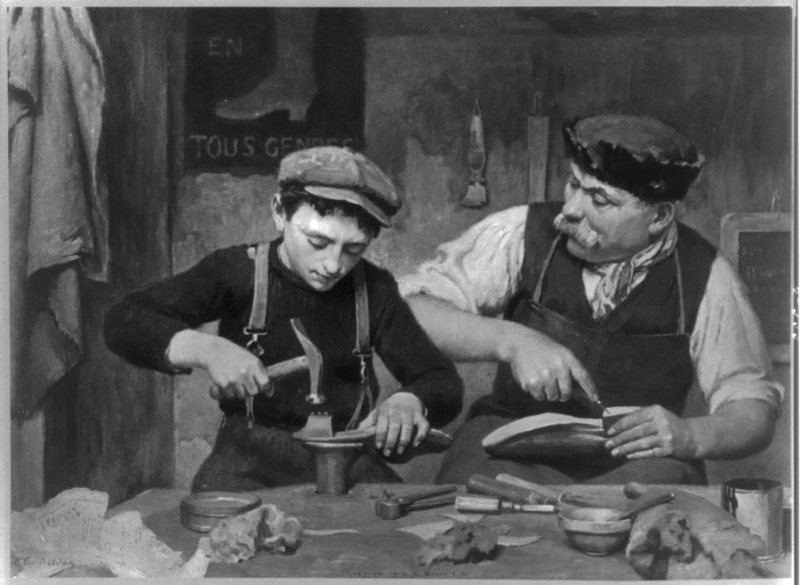 At the beginning there was a presentation of the software craftsmanship movement, its origin, its values, its goals. I will not go into the details, you can learn more here. I was just surprised that there was no mention of the manifesto, not that I believe that it should be signed, I let you decide whether you want to sign it or not. What I like about the manifesto however is the fact that it shows a close relationship with the manifesto for agile software development, which in my opinion is an important aspect: Software Craftsmanship is part of the agility movement, with a big focus on technical aspects. After this presentation Bruno and Thomas put their hands on the keyboard in order to show us a pair programming session while doing Test Driven Development (TDD). This exercise aimed to show us how to go through each step of the Red-Green-Refactor loop of TDD but also how to collaborate as a pair. In a pair communication is key, both developers have to think about the problem they are trying to solve and they exchange a lot. Now the question you might have is how to equally share the keyboard in a pair programming session, well the TDD approach is helpful to solve this case. What you can do is: one of the two developer starts by writing a failing test (red), make it pass (green), refactor the code if necessary (refactor), write a new failing test (red) and give the keyboard to his partner. This developer now has to make the test pass (green), do the refactoring and write a new failing test (red), at the point the first developer take the keyboard back to continue the implementation. And repeat this pattern every iteration (or two) to share the keyboard as much as possible. By doing pair programming you will be able to share your technic, tips and tricks with the members of your team. It is a great way to learn new shortcuts as well, I personally learn a lot of them this way. The next session was presented by Thomas and was about refactoring, in the example Thomas used the Gilded Rose refactoring kata. The goal of this kata is to simulate the need to add a new feature in an existing code base, a not so great code base with a lot of duplication. If you are lucky there is already some tests covering the code, if not you will have to make sure that you won’t break anything while adding new code. In the session Thomas used an interesting method to make sure he won’t break the existing features: he duplicated the code to be able to refactor it without losing it. Then he gave the same inputs to the two parts and checked that the outputs were the same. 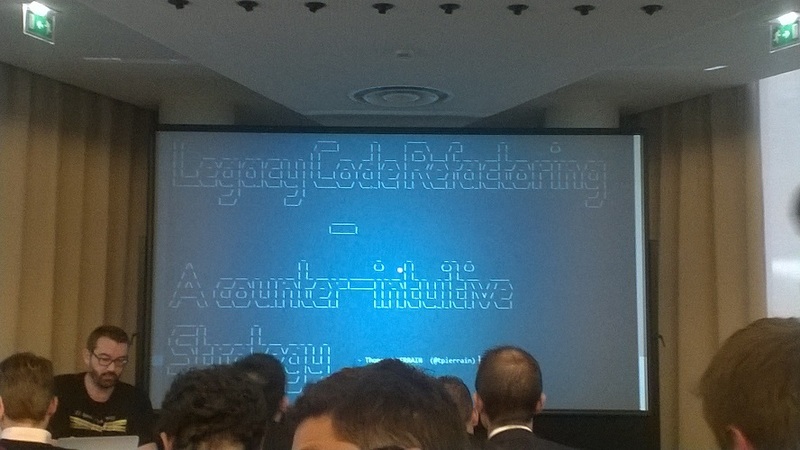 For the refactoring itself he used a “counter-intuitive” strategy: copy-pasting! The Gilde Rose code is full of if-else statement and a lot of them are redundant but it is not obvious at the first glance. Therefore the technic is to make them even more redundant to detect the parts in the code that can be refactored into methods to clean the whole code base. You make the code even worse that it already is to ease the refactoring. The concept is difficult to explain with a few sentences, seeing it in practice however is definitely counter-intuitive yet the result was very efficient, I was impressed by this strategy. 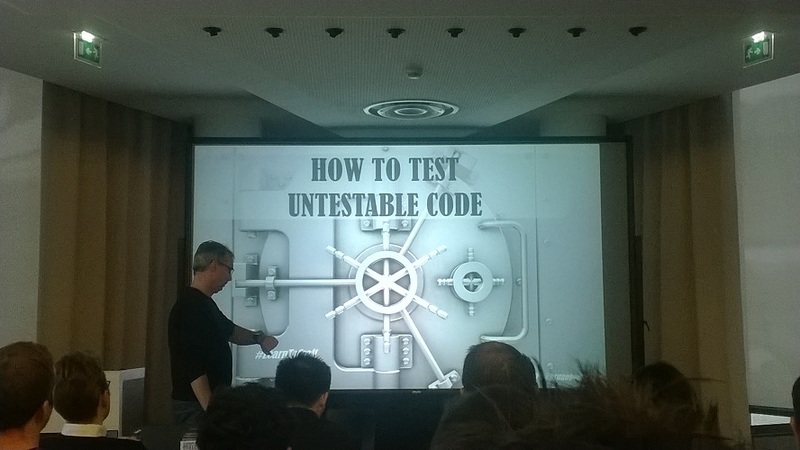 In the previous session the code was not under test but it was testable, but we know that it is not always the case. Some code bases are tightly coupled with a database or a web service for instance, if you want to test the code you need a working database and/or a working web service. Bruno also used a kata (from Sandro Mancuso) to demonstrate a way to get rid of these “hard” dependencies in order to test the rest of the code. The kata simulates a system using classes that cannot be used in a test context. In this exercise the goal is to detect these dependencies and extract them so you can inject them using dependency injection and therefore you can mock them in your tests. This strategy can be frightening because in order to write tests, you first need to refactor the code and in the previous session we saw that tests give you a safety net when refactoring some code. But it this case, there is no choice, you have to do the refactoring without them so you need to be very careful and if something goes wrong you can always rollback the changes even if nobody like this “final” solution. This event was definitely made as an introduction to software craftsmanship for people who have (almost) not experienced it, with a big focus on practices and not just theory. There is a lot of content I already knew, which is a good news for me I guess. But I also learned new tricks and technic allowing me to remind me that I still have a lot to learn, and that’s great! I was also very surprised to see that about half of the attendees were not .NET developers, there was a lot of Java people (at Microsoft’s!). And this show us that the software craftsmanship movement is not technology based, it addresses everyone no matter where you come from, it is an ideal with values, a community! I want to thank Microsoft for hosting the event, and of course I am grateful toward Jean-Laurent, Bruno and Thomas for taking the time to animate this event and spreading the values of the software craftsmanship. If you want to learn more you can visit their site learn.tocraft.fr (in french). Maybe you have heard about the various discussions about Test-Driven Development (TDD). Is it worth it? Does it lead to good design? … In this blog post I will not speak about this kind of practice, just “classical” tests. When I started my software developer career, I knew nothing about automated testing (unit or not). I wish I did, it would have save me a lot of time and a lot of trouble back then. I started my life as a software developer in a small company, I had no experience and I was alone on the project, which was several years old. I had to deal with a “big ball of mud” where I was afraid of touching anything because I did not knew anything about the consequences it might have. Yet, I had to fix bugs and to implement new functionalities in order to improve the application. Of course, I did not test much my changes, only that the bug is fixed or the new feature works as expected on my local machine. And every time it had unseen consequences because the code is highly coupled and changing one part of the source code change the behavior elsewhere. I wish I had tests at that time to prevent me from working in fear, fear of breaking things, fear of regression. But I’m also guilty in this story because the number of tests I have added during this period is ZERO… My contribution was to make the whole thing worse by adding more legacy code. I now realise that I was behaving un-professionally, legacy system is a real pain to work with and it is my job as a software developer to avoid creating this kind of mess. We have the tool and practices to make things better, we can add tests, we can refactor bad written code. Now I work for a larger company with several development teams, each one of them has a QA to validate the work done by the developers. I think that having QAs within the teams is a wonderful thing, they will check new feature and potential regression before a production release. But sometimes I feel like that some developers see this situation as an excuse to be lazy. “I just code, I won’t test it, this is the job of the QA”. What?! Are you serious? Your code does not even compile! Sure the QA will test it and they will just say: “It doesn’t work”. They can’t even test a single feature because the entire system cannot be built. This might look far-fetched but I’ve seen situations like this one, several times unfortunately. Sometimes, the code “works” but what has been asked is not done, the code has been written and it compiles. Yet, when opening the page (example of a website), the new element is not present… It’s the developer job to open the site to make sure that it works as expected from end to end, at least locally. Again, I’ve seen it many times, with my own work as well. In my opinion, QA should find nothing, if they do I have failed at some point. If the issue is technical, I made a fault and I need to fix it ASAP and learn from it. What do I’ve missed? How to prevent that from happening again? Is there a unit test I can write? If the problem is a business issue (not doing was it is supposed to do), then again: what did I missed? Is there an acceptance test that needs to be written? Did I know all the domain related details? If not, why? Always learn from your mistakes and a feature not validated by QA is a mistake. QAs are not hired to piss developers off, they are paid to make sure the products are viable from a quality point of view. We are not paid to write code, we are paid to automate process, and make them work! QAs are here to help, not to do our job. I’ve been down this road and this is why I make this blog post, to share my experience and my failures. I love my job as a software developer and I want to be proud of what I’m creating, I want to be considered as a real software professional. There are ways to improve how we work, from a technical point of view and an attitude point of view. 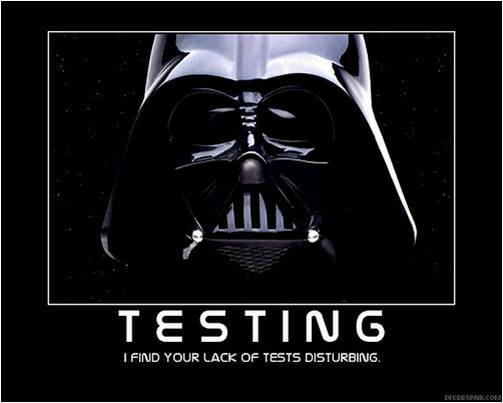 Testing is a developer job, unit testing, integration testing, manual testing, all of them. It’s our job to make sure everything works. 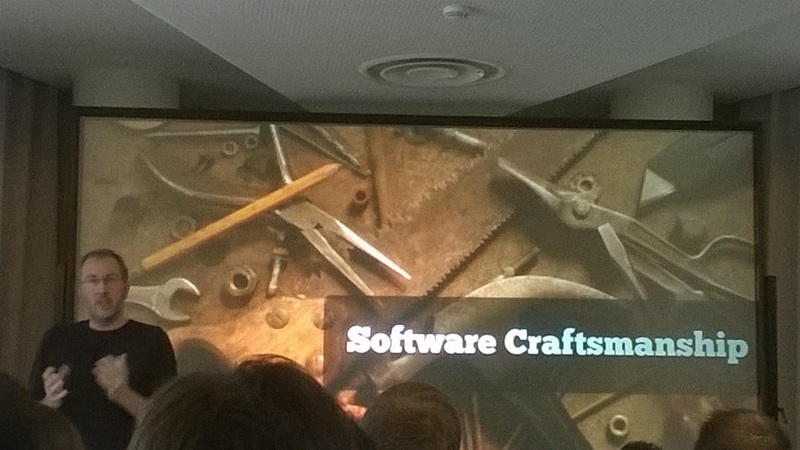 Earlier this year, in may, I attended a 2 days conference about software craftsmanship in Paris: NCrafts. I also been able to attend a one day workshop about EventStorming. This workshop was hosted by Alberto Brandolini and Mathias Verraes. Alberto is the founder of the Italian Domain-Driven Design (DDD) community, he runs Avanscoperta, a training company in Italy where he is a consultant as well. You can also encounter him as a speaker in various conferences across Europe. He is the one that came with the word “EventStorming”. Mathias is an independent Belgian consultant focusing on software practices, on dealing with legacy systems and especially on DDD. Like Alberto you can meet him during conferences or during workshops, there is a list of all of his incoming ones on his personal website. So you probably guess that EventStorming is about Domain-Driven Design and how to model it. I did this workshop because I consider that as professional software developers we have to understand the domain we work on in order to create the best possible applications. 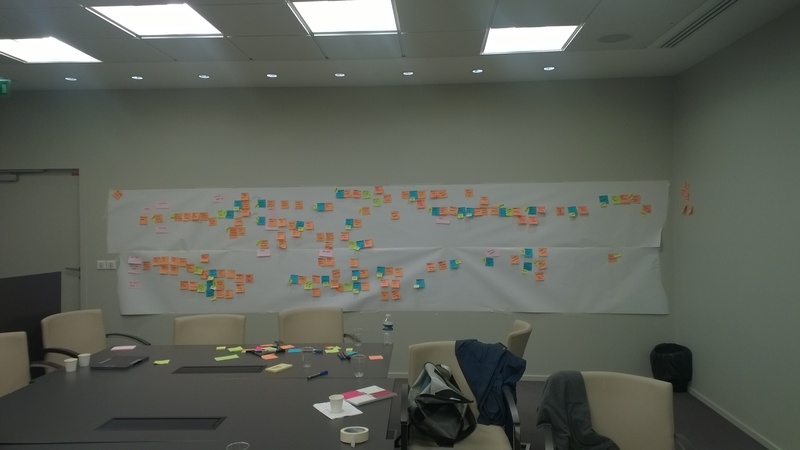 To practice EventStorming you need space on a wall, a lot of space. 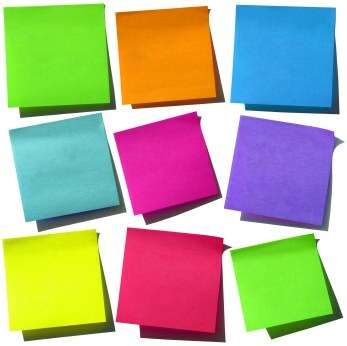 You also need sticky notes, a lot of them with different colors. You have to bring markers for everybody as well, the rule is at least one per person. Remove the tables and the chairs to be able to move freely in front of the wall. Once the room is ready you need people with questions (the developers) and people with answers (domain experts, business analysts) in order to model the domain of the application. Everyone is ready, they have sticky notes and a marker, time to ask the first question: What is the most important event in the system? (from a domain point of view). In other words: what is the goal of the entire application? 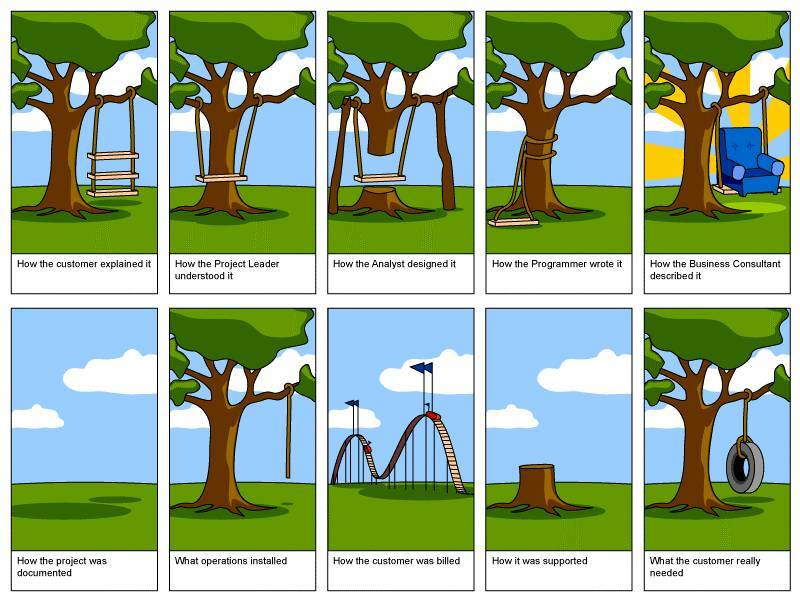 If the team works on a project without knowing what the main goal is, they will probably end-up with a “not so good” product. Once you know the Event, write it on a sticky note (orange one) and put it on the wall. Most of the time the event are written using participle past phrases (InvoicePaid, UserRegistered, …). Now it’s time to model around this main event by turning back time: What is the event that occurred before? And before that? If you are not sure about the necessity of an event, you can ask the domain experts if they care about the event or not, they know if it is relevant or not. For instance a “ButtonClicked” event is probably not relevant from a business point of view, except if the domain you work for is about buttons being clicked. Focus only on domain events, not on technical ones. Now you have your events chain, the work is far from over, you need to add the “links” between them. An application cannot just be a succession of events. What happened between an event and the one before? What kind of action is required? For example, what happened between “InvoiceSent” and “InvoicePaid”? The client has to pay the invoice! This last sentence looks obvious but it contains two important components for the EventStorming approach. The first one is the Command: “pay the invoice”, this is the action that has to be done. Time to change the color of your sticky notes, take a blue and write the command on it (Pay invoice) and put it between the two events. Sometimes when you think of the command needed for an event to occur you might discover that there are more events in the system than you initially thought about or some are missing. If so add them on the wall where they belong, you can add new events at any time. In “the client has to pay the invoice” there is another valuable information: the Actor, the person/system that acts on the application and launch the command. In this case the client is the actor, put a yellow sticky with the note “Client” on the command post-it. Now you have a more detailed version of the domain, something like on the following picture. One last thing regarding the commands, their execution can produce several events, it is not something to avoid, it all depends on your business domain. And actors can be external to the system, in this case you can use a different color of post-it (pink) in order to identify them quickly. Producing an event is the work of a command, yet the output of a command is not necessarily always the same, it depends on the Business Rules. For example, given a scenario where a user wants to log in, the expected event is UserLoggedIn. But what should happen if the username and the password are incorrect? We definitely don’t want the user to be logged in the application, in this case the “Log in” command has the following business rule: username is known and password is correct for the given username. The business rules can be written on another kind of sticky notes (big and yellow) when the rules are quite specific, not like in the example I gave. Otherwise you will pollute the wall with irrelevant post-its containing obvious information. To apply the business rules, a command needs information to know what it should do. In the log-in example this information is the username and the password. It is called the Message and it holds the data for the system. Use a post-it (green) to list the data needed by the command and put it beside the related business rule/command couple. This way you are able to see where are the commands with complex business rules and what are the data needed. As you can see, you really need a lot of space and you quickly locate every type of notes. And on this picture the entire model was not complete even after an entire day. Do not be frightened by the time it took, you are not forced to model the entire application in a row, do it step by step, start with a single sub-domain. You will add the others during the next EventStorming sessions using the base you have already created. I really enjoyed this workshop, I liked the collaborative approach of the EventStorming, everyone can be involved. It gives a very good representation of the business domain, what it should do and how. 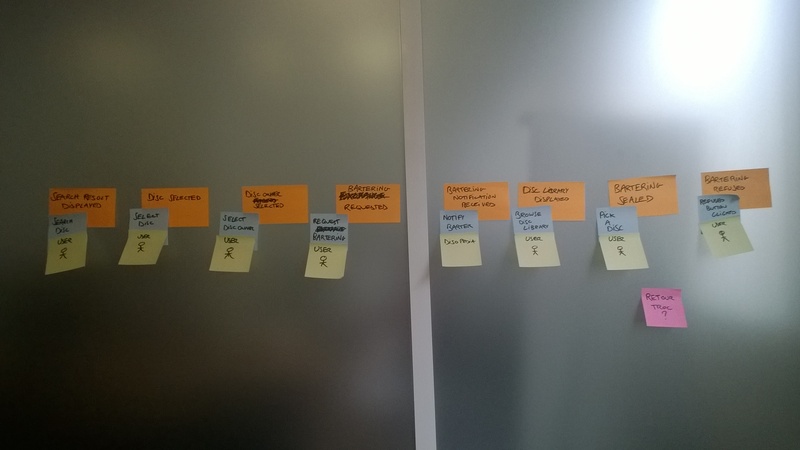 Since the exercise is done with domain experts they use domain terms and therefore you are able to extract the ubiquitous language from the EventStorming session. The format also favors story telling which are very helpful to gain knowledge of the business domain (“Most of the time it works that way but on rare occasion it works differently like this time when…”). To summarize: An Event is the result of a Command, triggered by an Actor, following a set of Business Rules using the data of a Message. A big thanks to Alberto and Mathias for making this workshop an awesome experience, do not hesitate to check their works on the topic, there is plenty of information they can teach you about EventStorming. And here are some more pictures. 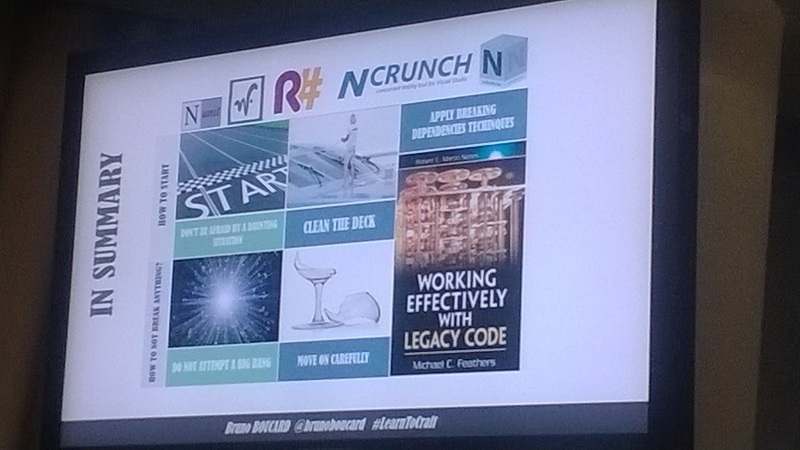 This week I had the chance to attend the second edition of the NCrafts conference. This conference takes place in Paris and had a lot of awesome speakers from all over Europe. If you don’t how what this conference is about, have a look at the manifesto below, it will give you an idea. In other words, it’s a software conference for developers by developers. We love crafting software with art, passion and technology and share it with everyone. This manifesto reflects my philosophy and what I try to show in my blog posts. And this exactly what happened during the conference, the speakers and the attendees where very open-minded and we were able to discover new practices. The day before the conference some workshops were organized by several speakers and I chose to go to the “Event Storming” workshop hosted by Alberto Brandolini and Mathias Verraes. I will not get into the details of this workshop since I intend to write a full blog post about this experience. To summarize, the “Event Storming” is an interactive practice that aims to bring the domain experts and the developers closer to each others. You need space on a wall, a lot of space, sticky notes and markers to use this practice. The goal of this workout is to model the process based on domain events. At the end the developers should have a good idea of how the system should behave and what are the business rules to implement. The conference lasted two days with two talks tracks for each day, there was a lot of awesome content in each talks, a lot of food for thoughts. Domain Driven Design (DDD) was part of this conference and it makes sense since I believe that, as professional developers, we cannot produce valuable software for our clients without knowing their domain. Functional programming had also an important place in the conference, it was almost possible to attend only functional programming talks. Most of these talks were made using the FSharp (F#) language. I made a small introduction to this language a few months ago and being able to see F# developers from the community sharing their tips, tricks and technic was really enjoyable. I think that functional programming will help us solve some problems we encounter in our everyday job faster than object-oriented programming. It is not better or worse, yet some paradigms of the functional approach are really attractive. Testing had also a place in the conference for both functional programming and object-oriented programming. If you read my blog you should now know that I write quite a lot about tests, it is a topic I really care about. During the conference I discovered new approaches for Test Driven Development (TDD) and explanation on the difficulty to practice it. The Type Driven Development (TDD again) practice for F# was really interesting in order to design software. I did not attend last year edition of NCrafts but I will definitely try to go again next year. It was 3 amazing days with a lot of great and open-minded speakers. The NCrafts team did a really great job to make the experience as smooth as possible and as enjoyable as possible. It gave me a lot of ideas to share with my team in order to improve our technical skills, practices and processes. I can only highly recommend you to watch the talks online when they will be available. As professional developers our role is to produce high quality software for our clients. To achieve this goal we must make sure that our application meets the requirements defined by the business analysts and works as expected, without side effects. To achieve this, you should rely on a full automated tests suite. And to make sure that this tests collection is complete and cover all your code base you can practice Test Driven Development (TDD). 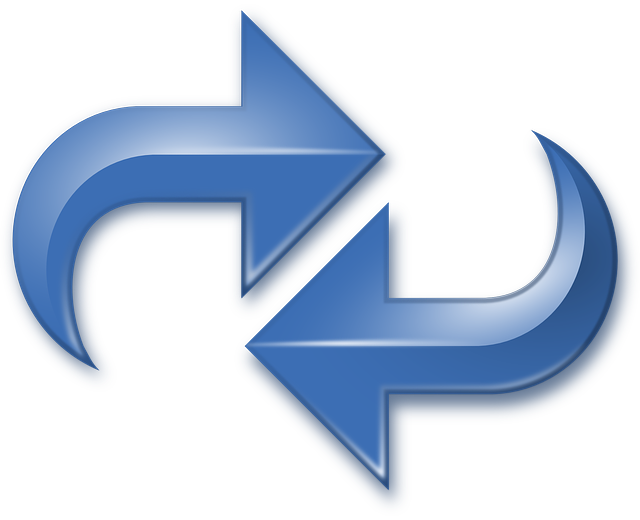 TDD relies on repeating a short development cycle where tests are writing before production code. This process can be defined by the 3 following rules. Don’t write any production code until you have written a failing unit test. Don’t write more of a unit test than is sufficient to fail or fail to compile. Don’t write any more production code than is sufficient to pass the failing test. By following these rules you can implement the required needs step by step. And by writing the tests first you also have to think from a caller perspective, you are a client of your own code. With this paradigm shift, you have to think of what is actually needed in order to complete the case you are working on and nothing more. It is helpful to avoid any unnecessary over-engineering phase that might happen in the early development phase. This way you can follow the YAGNI (You Aren’t Gonna Need It) and the KISS (Keep It Simple, Stupid) principles, you only code what you need, nothing more. TDD makes you write your tests suite at the same time as your production code. This allows you to be able to refactor the code easily, and you will do refactoring all along the way. 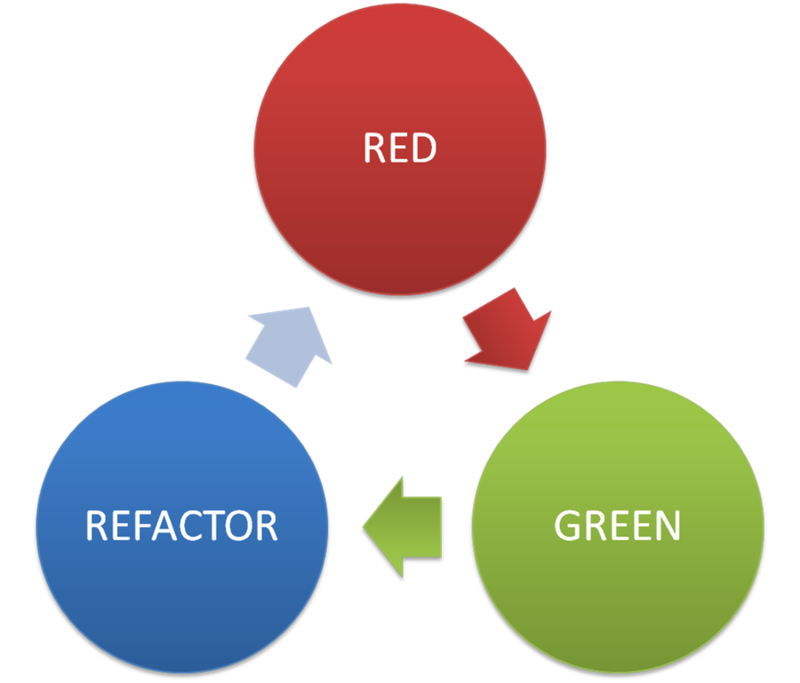 Refactoring is even one of the 3 phases of TDD: Red, Green, Refactor. You start by writing a failing test (Red), you write code to make it pass (Green) and you refactor the code to make it cleaner (Refactor). And of course you make sure that the tests still passed after the refactoring before writing a new failing test. By practicing TDD, you consistently work with a safety net, if something is broken you know it right away! The TDD approach forces you to write testable software, therefore it is likely that the code will be less coupled than if it was written straight away without tests first. A less coupled application is easier to maintain and easier to extend with new behaviors. This way you can improve your code base by adding advanced programming patterns during refactoring phases when you actually need them. Due to this fact, TDD is sometimes decomposed as Test Driven Design instead of Test Driven Development. Yet to achieve better design when using TDD it is important to know programming patterns and programming principles (e.g. SOLID in oriented object programming). One of the benefit of having a full tests suite for your production code is that it can work as documentation for it. By browsing the tests of your APIs the caller knows how to use it, how to instantiate the classes and what the expected outputs are for the available methods. And this kind of documentation is always up to date since it is bound to the associated code it tests, if the code is updated so are the tests otherwise it fails. When writing these lines I am still new to TDD and to be honest I don’t practice it every time, especially when working on legacy project (which would not have become legacy if developed with TDD or proper code coverage at least…). But I strive to follow the TDD rules when adding new behaviors to an existing project covered with tests. I really want to learn more about this practice and this is why I work on increasing my TDD skills with some side projects. I will share the experience gained from these projects in a near future on this blog. At the moment I am convinced that using TDD is very helpful to produce high quality software in a concise way. It helps me thinking of the exact behavior I want/need for my program. I like the fact it gives instant feedback and allow constant refactoring without having the fear of breaking anything. You may have notice it, I changed the domain name for this blog a few weeks ago. 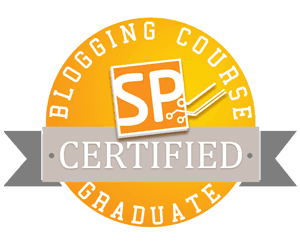 Following the advice of John Sonmez on his blogging course, I decided to choose a new name for my website matching the personal brand I’m working on: Coding Journeyman. I chose this name because it is related to the software craftsmanship movement and its values. I also like the fact that it contains the word “journey” (even if the origin is different) since I consider this personal website as a travel blog for the skills I learned during my software developer’s life. 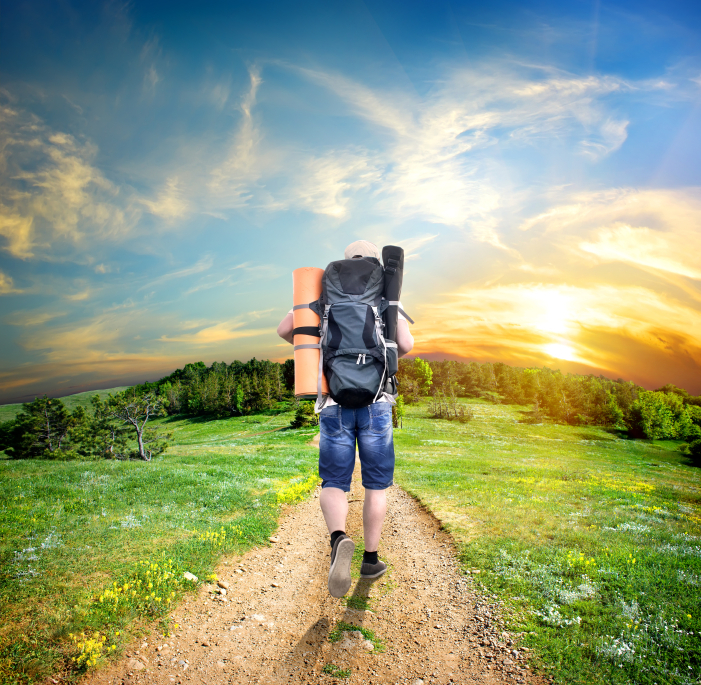 What is a coding journeyman? These are programmers who are trained, competent, and energetic. During this period of their career they will learn to work in a team and to become team leaders. They are knowledgeable about current technology but typically lack experience with many diverse systems. They tend to know one language, one system, one platform; but they are learning more. Experience levels vary widely among their ranks, but the average is about five years. On the far side of that average we have burgeoning masters; on the near side we have recent apprentices. When writing these lines, I consider that it is a very accurate description of my actual situation regarding my professional skills. I believe I am more knowledgeable than an apprentice but I still have a lot to learn before becoming master. And I hope I will never have the arrogance to call myself a master, because I think that there will always be something new to learn. As a software developer I consider that my job is to produce applications with a high level of quality. I want to be proud of my creation and I want them to be valuable for whomever will use them, I want them to have meaning. I want to improve my skills to avoid the following “situations”. It might look funny, yet I personally don’t want to work in a similar environment. I don’t want to be a code laborer, I want to be a “value contributor” by producing high standard applications. Then, what is quality in the software industry? This is definitely a good question and a difficult one. I believe that every programmer has its own definition for this notion. I will give my personal opinion regarding this question. As a professional developer my main activity is to write, update, refactor code. This is why I believe it is important to be able to do all of this easily without breaking anything. To improve your code base there are a lot a good practices to follow in order to produce testable and maintainable algorithms. There are the “Clean Code” values and I recently wrote about the SOLID principles. I am also quite fund of automated unit testing, because I consider this is the best way to protect your code against mistakes when you are refactoring a piece of your code base. It helps you to understand how the classes and methods of your application are supposed to behave. It is also helpful to execute a specific component of your code in order to check its functionalities (while debugging for example) without launching your entire system. Except if you are working alone it is likely you have to communicate with other people in order to complete your tasks. You probably share your office with other developers, and you probably have to work with them from time to time. Pair-programming is a great habit to know how to work with them, it also helps you to share your knowledge regarding practices, principles, tricks and tips. You are also able to share your understanding of the business domain your working on. As programmers, understanding the needs of our business expert is a priority since they know how to provide value to the customers better than we do. We cannot allow ourselves to be in conflict with them, we have to understand their priorities and we also have to make them understand ours. This can be difficult from time to time but I believe that it is mandatory to work as a whole in order to produce the best products. We should stop using the term ‘the business’ and replace it with ‘the value’. Harder to be negative around providing value. In my opinion code quality and collaboration are the two main areas to work on in order to craft valuable software. This way you are able to have a working and maintainable product answering the needs of your customers. Of course there are many more topics that deserve attention as well and I will write articles about them as well. And for you? What is your definition of quality when it comes to software development? When a high-level module (business service for instance) depends on low-level module (data validator, a repository, …) it is difficult to reuse this module because it is highly coupled. I have created an example that violates the DIP and I will show a way to solve the issue. In this piece of code my high-level module is the MessageSender, it allows me to send a given message to a given user (found by its username). For example this is a class that can be used from a user interface with a form. You can see that it has dependencies on a repository and a service, a modification of one of them can have impacts on my class. And what if I want to retrieve my user through a web service instead of the database? Or if I want to be able to send message to my friend via Twitter, Facebook or another social network? I will have to add complexity in this module even if its responsibility does not change from a “business” point of view. My code is highly coupled and violates the Dependency Inversion Principle, I have to change it and I will by using abstraction (interfaces in my case). In this new version I only use contracts/abstractions for my high-level component and this way I reduced the coupling with the implementations of the low-level modules. I decided to expose the dependencies via properties to access them and set them in order to clean the “SendMessage” method. When using this class I can now specify if I want to use an EmailNotificationService, a TwitterNotificationService, another social network related service or even a test double if I am in a test context. Imagine creating automated tests with the first implementation! I would have to create an actual database for my UserRepository and a STMP service for my email based NotificationService. All of this only to test this little piece of logic, with abstraction and dependency inversion it is much easier now to test my components. A few months ago I introduced a DIP pattern known as Dependency Injection, you can learn more here. This is the end of my presentation of the Dependency Inversion Principle and the end of the SOLID principles as well. I hope you like it and do not hesitate to leave a comment if you want to improve the concepts I have introduced in these blog posts.